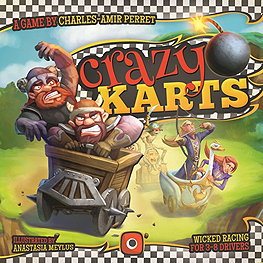 Crazy Karts if a team based family game about a crazy race. Each player controls only half of their kart's controls. Either you speed up and attack or you brake and turn. Different tracks, dozens of obstacles, four unique fantasy factions, and many power-ups.